Hunan released a list of dramas they have purchased and plan to air tentatively in 2018. The Story of Minglan with Zhao Liying, Feng Shao Feng, etc. Our Glamorous Time with Zhao Liying, Jin Han, etc. Queen Dugu with Joe Chen, Chen Xiao, etc. New Horizon with Joe Chen, Zheng Kai, etc. Once Young with Yang Mi, etc. The Negotiator with Yang Mi, Huang Zitao, etc. Boyhood 2 with TFBOYS, etc. Win the World with Fan Bing Bing, Gao Yunxiang, Xu Fan, Ma Su, etc. Autumn Cicadas with Ren Jialun, YingEr, etc. Cry Me a Sad River with Zheng Shuang, Ma Tianyu, etc. We Cannot be Sad with Wallace Chung, Ma Tianyu, SunYi, etc. Sweet Combat with LuHan, Guan Xiaotong, etc. Game of Hunting with HuGe, etc. Great Expectations with Chen Si Cheng, Tong Li Ya, etc. If We Could Love Like This with Liu Shi Shi, Tong Dawei, etc. Martial Universe with Yang Yang, Zhang Tianai, etc. Fight Break Spheres with Leo Wu, Lin Yun, Li Qin, etc. The Endless Love with An YueXi, Chen Ruo Xuan, etc. The Starry Night, The Starry Sea 2 with Feng Shao Feng, Bea Hayden, etc. Speed with Han Dongjun, Xu Lu, etc. Note: Game of Hunting, Great Expectations, If We Could Love Like This, and possible Tribes and Empires could air this year. The Starry Night, The Starry Sea 2 is also rumored to air in December. Ruyi’s Royal Love in the Palace with Wallace Huo, Zhou Xun, etc. See You Again with Tang Yan, Shawn Dou, etc. The One Who Escapes with Chen Kun, Wan Qian, etc. Love’s Lies with Luo Jin, Pan Zhi Lin, etc. The Way We Were with Tang Yan, Luo Jin, etc. Wonderful Life with Zhang Jiayi, Li Xiao Ran, etc. Mr. Love with Jin Dong, Jiang Shuying, etc. Liehuo Ruge with Dilireba, Chou Vic, Zhang Vin, etc. Caught in the Heartbeat with Jiao Jun Yan, etc. Age of Legends with William Chan, Ma Si Chun, etc. The Rise of Phoenixes with Chen Kun, Ni Ni, etc. Legend of Fuyao with YangMi, Ruan Jingtian, etc. Note: For Dragon and Zhenjiang TV some are confirmed purchases and some are rumors. While Hunan made an official release of the dramas they purchased that is why their list is so long. Not enough information on purchases by Anhui TV and Jiangsu TV. The Destiny of White Snake with YangZi, Ren Jia Lun, etc. Heavy Sweetness, Ash-like Frost with Deng Lun, Yang Zi, etc. Rebellious Youth with Mao Xiaotong, Yu Meng Long, etc. My Story for You with Luo Jin, Zheng Shuang, etc. Entrepreneurial Age with Angelababy, Huang Xuan, etc. So many dramas and this is not even half the dramas that were or are being filmed for 2018. Like someone said in the comment section of another post, we need quality over quantity. How come they don’t have any Li Yi Feng drama or movies?? Li Yi Feng was confirmed for the drama New York New York a few months after this post. Not sure who is going to get rights to that drama, but the rumor is that Hunan wants it. what about scouring marriage, mao ya ya marriage, the legendary tycoon, braveness of the ming, jade lovers, seige in fog dramas? Unknown. Braveness of the Ming/Jade Lovers are shelved until 2020. Siege in Fog is having some legal troubles. The rest I have no idea. If they aren’t going to air Tribes and Empires this year than I still hope for January. Yeah last years hoped for this January but sadly…. Why do you show us amazing trailer if you don’t have any plans to air it in near future? Oh no! Hopefully Hunan won’t drag ZlY’s drama out too much… I won’t stand for 30-40 min episodes again! 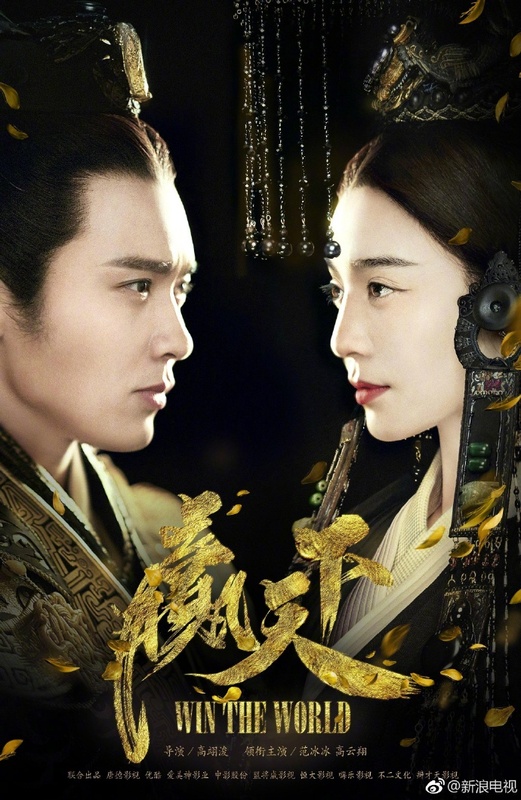 On other notes, really looking forward to Game of hunting, The story of Minglan, Win the world, Legend of Fuyao, Martial universe and maybe Ruyi if it’s not too draggy (90 episodes is alot!) . Can’t believe there is atill no news for tribes and empire!!? That rumor that it will air September seems so farfetch now! yeah I dont think it will happen. Maybe in November? So no Tribes in 2017 or some of the other ones I was hoping would make it. What the hell do we have to look forward to for the rest of the year then? Dammit, why did Hunan buy almost all the ones I want to watch??? ?Guess it’s all that In The Name of the People money they made. I just hope they don’t crank up the brightness and contrast on all these dramas like they tend to do…for the sake of my eyes. Lastly, why is the later time slot called Youth Theater? I kind of made up the name lol they keep putting out different variations of the name but they always keep Youth. Now it is Youth on March on M-W but they also have a new slot on Sundays called Youthful Times. So just in case they change it, I just called it Youth theater is their more idol oriented dramas time-slot. They are still figuring out what to do with their late time slot. Tribes could air this year or maybe not. I don’t know why they keep pushing it back, there must be some issues. They also pushed back Game of Hunting and The Negotiators. I know The Negotiators had issues with SARFT, but I have no idea what is causing Tribes and Empires to be pushed back. Hunan bought everything. They had a really good year. In The Name of the people, Because of You, and Princess Agents have all been big ratings hits. The production crew of Game of Hunting had a law suit with Hunan over money. It should air in September. My gosh! Hunan better not butcher ZLY’s dramas. I am hopeful since it has an earlier time slot, they can’t really do much damage. Also, for MingLan the production company is the same one that did Nirvana. Hunan likes ZLY too much, I was hoping another network would get her dramas but rumor is Hunan overbid everyone else. Because she’s the queen of ratings lol Look what happened after PA ended. No breakthrough in the ratings. Hunan’s favorites are Zhao Liying, Joe Chen, and Yang Mi. There is a reason they like them, they get them good ratings. I have read that the time slot is signed into the contract of dramas when they are purchased pre-production. So I expect for sure Minglan will air at 8pm and pretty sure Our Glamorous Time will too just because it doesnt fit the late timeslot.